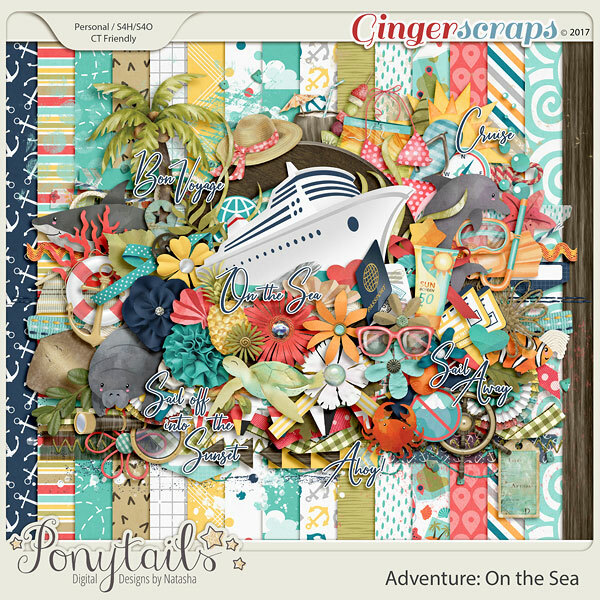 This week, Ponytails Designs has the first in a new series. 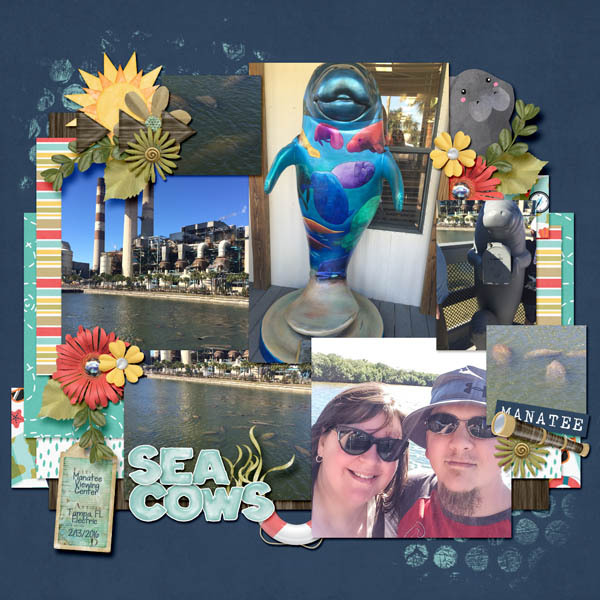 Her family takes a lot of trips (road trips, camping, and occasionally a tropical vacation), so she thought it high time to start scrapping those adventures. And thus, her Adventure series! They were recently on a Caribbean cruise for a friend's wedding, and so she thought it was a fitting place to start. 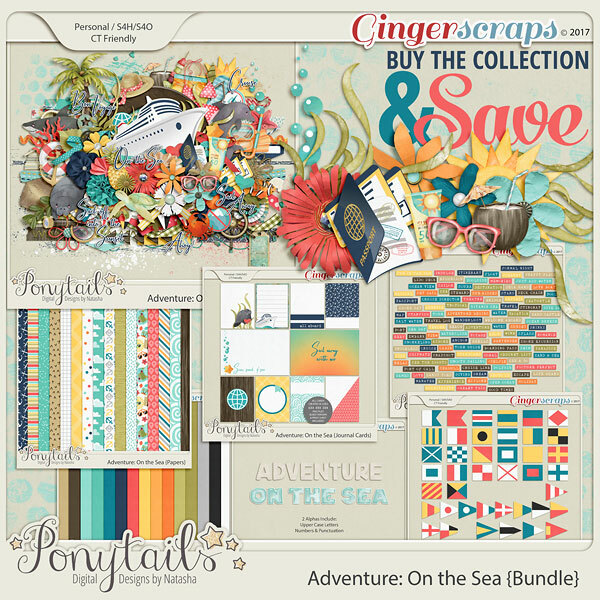 Adventure On the Sea features a bright palette softened by watercolor elements and includes some cute sea creatures and beachy items for scrapping those shore excursions.